Banana cream pie can work well as a frozen dish, and freezing it can help it set properly. However, you cannot freeze a fully finished banana cream pie, remove it from the freezer and serve it without any extra work. 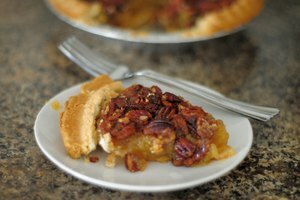 The whipped cream that traditionally tops these pies will not hold up in the freezer, so you will need to set aside some extra time to make the topping and add it to the pie just before you wish to serve it. Make the banana cream pie according to your recipe. Stop following the directions immediately after pouring the filling into the crust, however. Do not go on to make the topping or add it to the pie. Place the pie gently into your freezer. Make sure it is on a flat surface so the fillings will not spill out over the edge of the pie. Remove the pie from the freezer when it is mostly frozen, after about 2 hours. Lay a sheet of plastic wrap directly onto the pie’s surface. 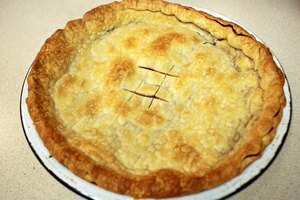 Wrap more plastic wrap around the pie until it forms a complete layer around the pie with no visible cracks or gaps. Return the frozen pie to the freezer for up to several months. Remove the pie from the freezer 10 to 15 minutes before you wish to serve it. Because banana cream pies should be cold when served, you do not need to thaw it completely, only enough to cut it successfully. Make the whipped topping while the pie thaws, then put it onto the pie, slice and serve. 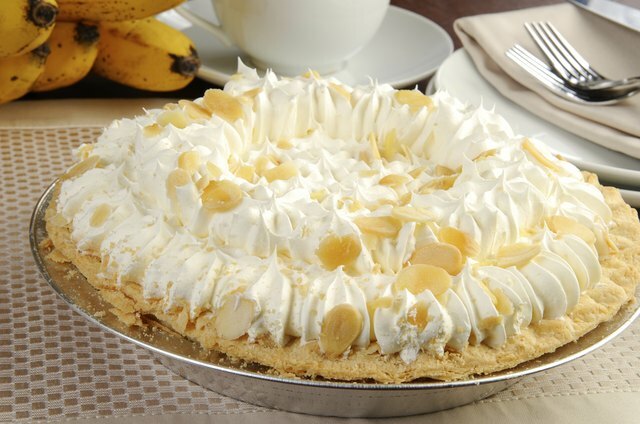 Freezing a banana cream pie may result in a soggy bottom crust.